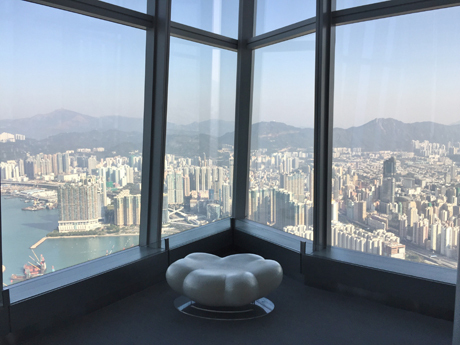 "sky100", located on the 100th floor of the 118-storey International Commerce Centre (ICC) in West Kowloon, opened on 17th April 2011 and is currently the world’s tenth highest observation deck, at a height of 393-metres above sea level. 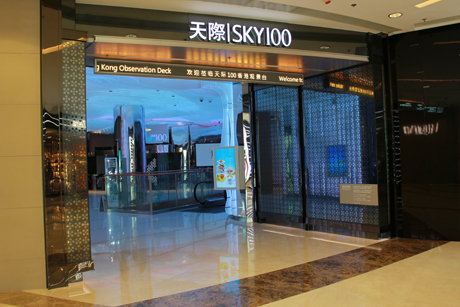 On 8th November 2011, "sky100" was renamed "sky100 Hong Kong Observation Deck". ICC is currently the world’s seventh tallest building at 484-metres above sea level, after Burj Khalifa (Dubai) 828-metres, Shanghai Tower (632-metres), Makkah Royal (Mecca) 601-metres, One World Trade Center (New York) 541.3-metres, TAIPEI 101 (Taipei) 508-metres and Shanghai World Financial Centre (492-metres). 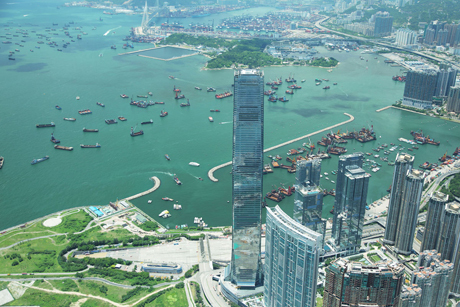 Located above Kowloon Station in West Kowloon, it is part of the Union Square project and was developed by Sun Hung Kai Properties. Construction started in 2002 and the building was completed in phases with completion in early 2011 with the opening of the Ritz-Carlton Hotel which is the "world’s highest hotel "and occupies floors 102 to 118. 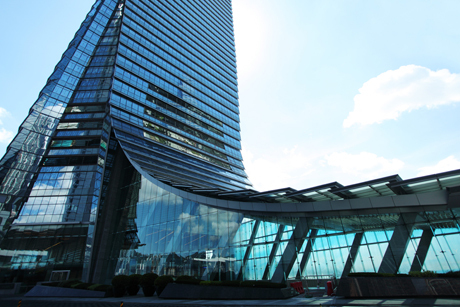 ICC occupies a gross floor area of about 450,000 square-meters. The total façade area is about 120,000 square-metres with the unique glazed curtain wall panel system resembling the over-lapping scales of a dragon. The base of the tower is contoured into series of overlapping panels representing a scaled “dragon tail” which is also functional, being designed to deflect downdrafts and shelter pedestrians from tropical rains. 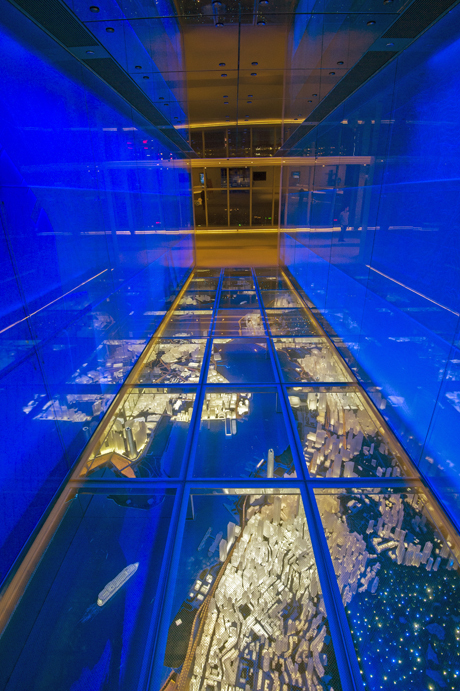 The building is served by 42 lifts, of which over half are double-deck and the fastest lift can travel at a speed of 9-metres per second. 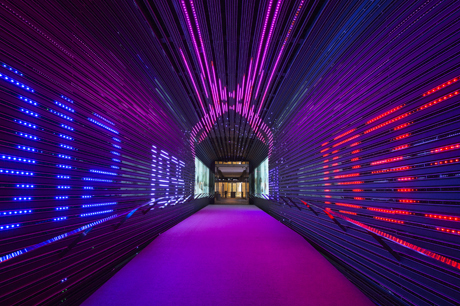 The building was developed in response to a lack of office space in Hong Kong’s traditional district, Central, on the opposite side of the harbour and is intended to become a new financial hub for the city. Office space extends to the 99th floor and tenants include major investment banks Credit Suisse, Morgan Stanley and Deutsche Bank. 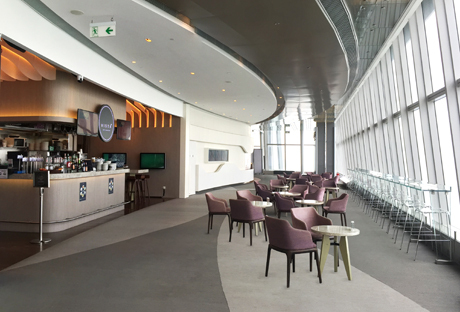 ICC will accommodates over 20,000 people during normal working hours. 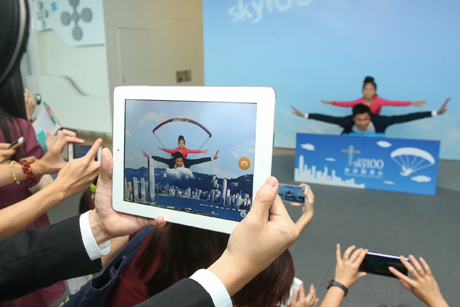 sky100 was both developed, at a cost of over HK$100 million, and is operated by Sun Hung Kai Properties, a major Hong Kong property company, established in 1963, which has developed many major buildings including Two IFC, Hong Kong’s second tallest building. It covers an area of 30,000 square-feet. 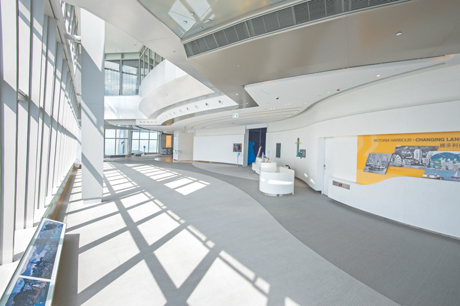 ICC UPPER GROUND FLOOR - Guest Centre with tourist information and Super Wide Screen display with panoramic views and luggage storage lockers (paid). 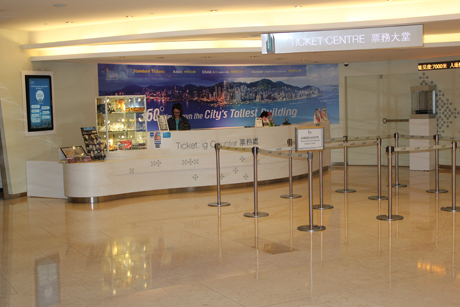 ICC FIRST FLOOR - Ticket Centre, which can be reached via the second floor (Metal Zone) of Elements Mall, above Kowloon Station. Luggage storage lockers (paid). 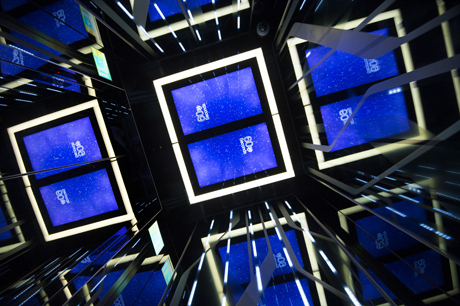 ICC SECOND FLOOR (accessible via escalators from the Ticket Centre) - sky 100 main entrance, Memory Lane Time Tunnel, 3-D multimedia exhibits, Memory Lane 3-D Theatre, Holly Brown Coffee Roasters cafe and elevators (“flying lifts”) to the 100th floor. 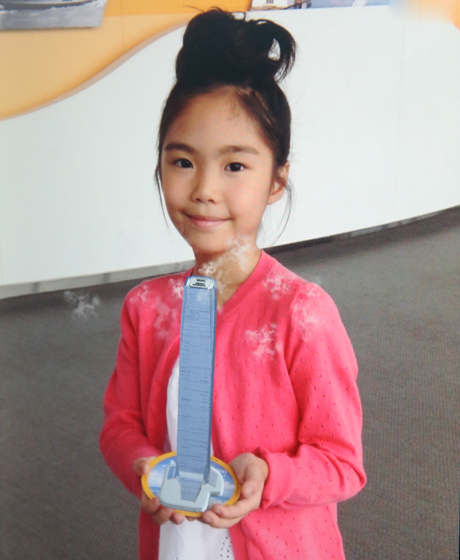 Visitors pass through the Memory Lane Time Tunnel en route to the "flying lifts"
ICC 100th FLOOR – Sunken Model (in floor of passageway from lifts to observation deck), Observation Deck with 360-degree panoramic views, light box landmark indicator, Itinerary Planner, Advanced Telescopes, “Ten Tallest Buildings in the World” wall display, Photo Booth, Sky-high 3D Hong Kong Street, Anti-reflection photo booths, Vista @ sky100 Café, Gift Shop, “Skypost” postal counter and Customer Service Counter. 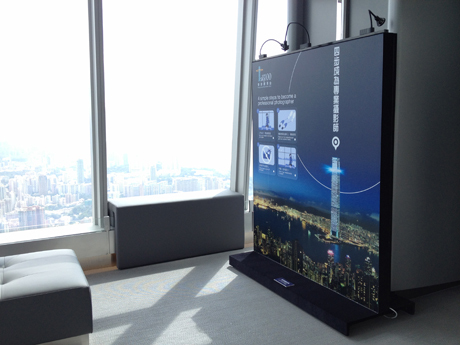 The 100th floor observation deck presents a tranquil atmosphere in which visitors can enjoy stunning views. 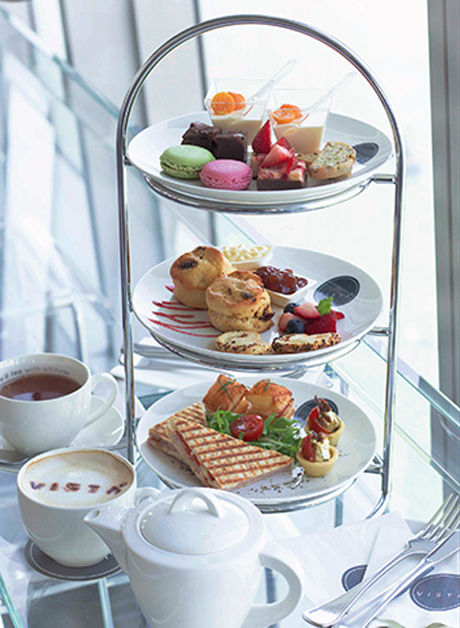 The spacious deck encircles the 100th floor allowing 360-degree panoramic views. 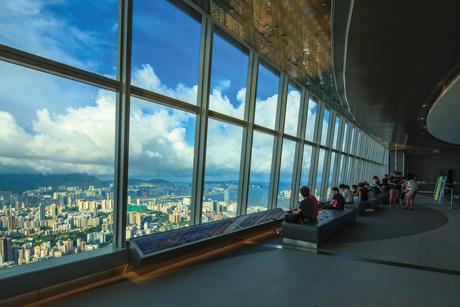 The deck can accommodate 1000 visitors at any one time and, although visitors are given a half-hour time slot for entry to the observation deck, there is no limit on duration of stay. 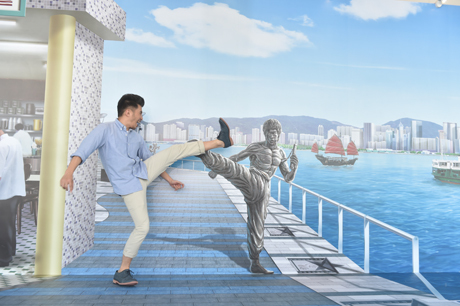 provided props in front of the 3D paintings. Note - sky100 will close in the event of severe weather such as Tropical Cyclone Signal 8 or above, or Black Rainstorm Warning. See website for other ticket offers. 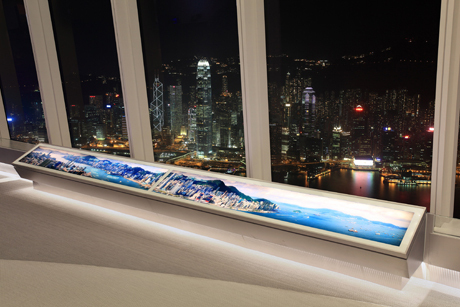 MTR - ICC is located at Kowloon Station on the MTR Tung Chung and Airport Express lines. 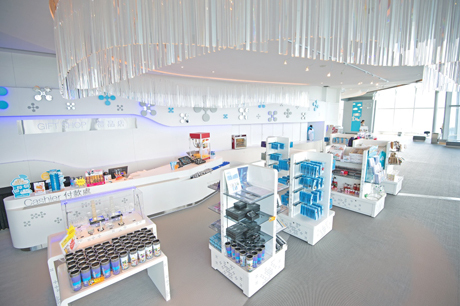 sky100 entrance, on the first floor, can be reached via the Metal Zone of Elements mall. BUS - Kowloon MTR Station Bus Terminus is served by bus routes 8 (from Star Ferry Pier Bus Terminus, Tsim Sha Tsui - although this a lengthy indirect route taking about one hour), 11 (from Diamond Hill MTR Station Bus Terminus), 215X (from Lam Tin Kwong Tin Estate Bus Terminus), 203E (from Choi Hung Bus Terminus), and 296D (from Sheung Tak Bus Terminus). 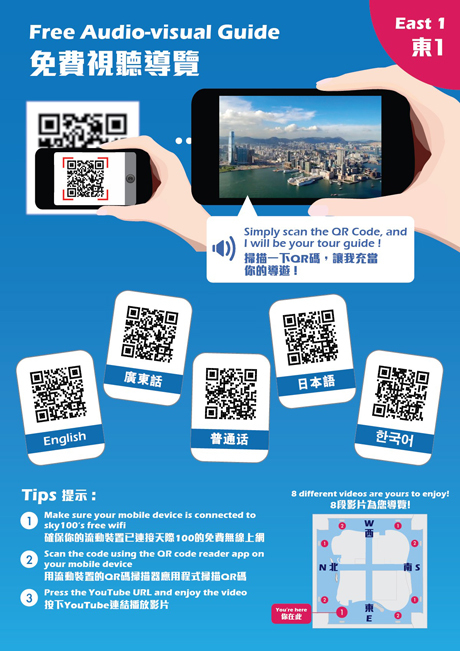 Passengers from Hong Kong International Airport can take Citybus "Cityflyer" Bus A10, A11 or A12 and alight at the Western Harbour Tunnel Toll Plaza for ICC/Kowloon Station (about 30/35 mins journey time). GREEN MINIBUS – Kowloon MTR Station Bus Terminus is served by green minibus routes 26 (from To Kwa Wan Chi Kiang Street), 74 (from Mongkok Luen Wan Street) and 77M (from Tsim Sha Tsui East). 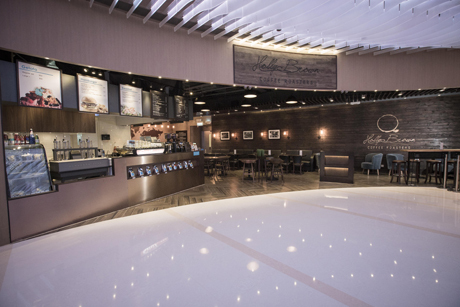 COACH – China Coach Terminus, located on the first floor of Elements mall, is served by coaches from Shenzhen International Airport. AIRPORT EXPRESS SHUTTLE BUS – Kowloon Station is served by free Airport Express Shuttle Bus services K1,K2,K3,K4 and K5 from various hotels in Kowloon. To use this free bus shuttle, passengers must have a valid Airport Express Ticket, Airport Express Travel Pass or Octopus Card.